Thea 2: The Shattering will once again propose a unique blend of 4X turn strategy, RPG, survival and card game with an original dark fantasy setting inspired by Slavic myths and culture. Players will adopt the role of a god who looks after a tribe of followers while navigating a procedurally generated environment. They will have to choose their favored play style – whether they prefer to wander and explore the world, take an aggressive stance of a warlord, or becoming the master diplomats with an array of alliances with other factions – and constantly gather resources and ensure the survival of their worshipers. Thea 2 also offers atmospheric graphics and music, perfectly illustrating the Slavic background of the narrative. Thea 2 will have a co-op multiplayer mode, free DLC content, adventures editor and modding tools. 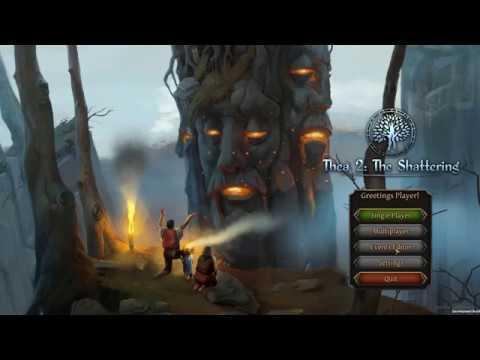 Thea 2: The Shattering was released on PC Early Access) 140d ago in the US and the UK. The upcoming Thea 2: The Shattering PS4 and Xbox One release date is 2019 in the US and the UK. Notify me when Thea 2: The Shattering is available.